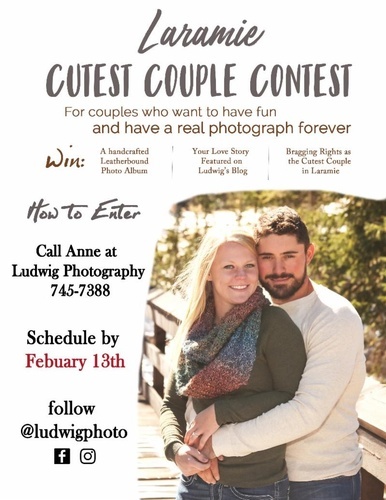 Call Ludwig Photography to schedule a photo session with your sweetheart! Couples will have a chance to take a beuatiful lasting photo to celebrate their love, and be entered into the Cutest Couple's Contest. Bragging rights as the cutest couple in Laramie!